With over 850 exhibitors, a visitor attendance of 21,000 from 140 countries and 1,100 Amsterdam International Water Week (AIWW) conference delegates, Aquatech underlines its position as the world’s leading platform for process, drinking and waste water. 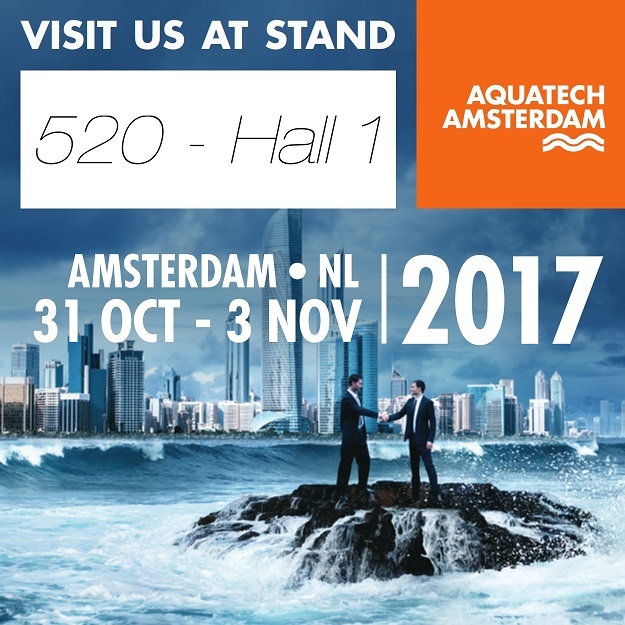 During 4 days filled with inspiration and innovation, Aquatech Amsterdam 2017 will provide the perfect platform to network, exchange ideas and do business. We welcome you to Fluid-o-Tech's stand 520 - Hall 1, where you will meet our team ready to discuss your needs and present our complete range of products.